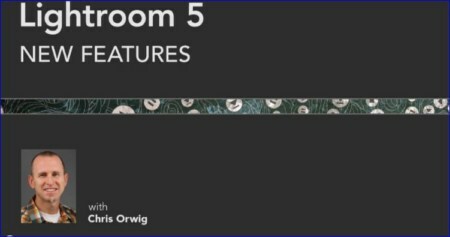 Lynda com - Lightroom 5 New Features with Chris Orwig (Updated) | Free eBooks Download - EBOOKEE! Posted on 2014-04-19, by LatestNews123. Discover what's new in Photoshop Lightroom 5, the popular photo management, enhancement, and publishing program from Adobe. Get a sneak peek at Upright, for automatic perspective correction, and Smart Previews, for viewing large RAW images more quickly at a smaller file size, even when they are disconnected from your main catalog. Author Chris Orwig also reviews the extra flexible and precise healing and retouching tools, new Radial filter, video slideshows, and new features for expediting your workflow. No comments for "Lynda com - Lightroom 5 New Features with Chris Orwig (Updated)".